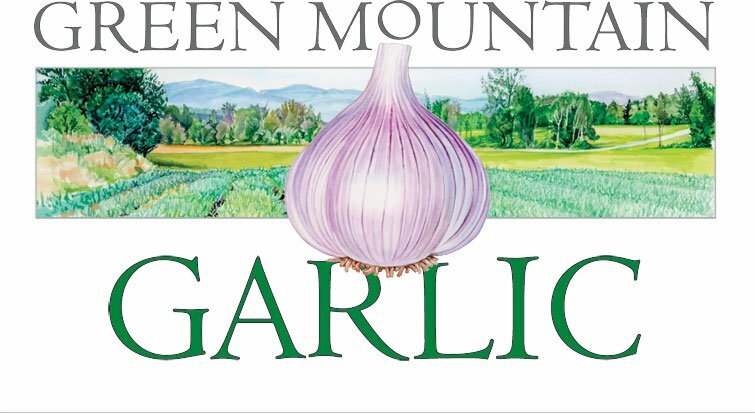 Welcome to Green Mountain Garlic: seed garlic and food garlic in the heart of Vermont. We grow hard neck and soft neck organic seed garlic varieties for gardeners, farmers, chefs and connoisseurs. We are now taking pre-orders for our 2019 seed garlic and garlic scapes (see Order our Garlic page). Garlic Scapes ship in June and Garlic orders ship in September – October. Thank you for your continued support. Over the years Green Mountain Garlic evolved from our home garden, to a small test patch planted next to a mountain stream, to a family farm with acres of seed garlic and a new barn built specifically for drying and storing garlic. We are dedicated to practicing sustainable agriculture. We constantly work to maintain a rich, healthy soil through the use of cover crops, crop rotation, composting and natural soil amendments. 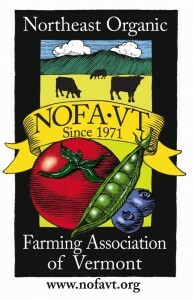 The Vermont Organic Farmers Association certifies all of our garlic and organic garlic products. Our farming methods ensure that we produce only the highest quality hard and soft neck garlic for eating and planting. Green Mountain Garlic is located in a beautiful valley in Central Vermont’s Green Mountains, our harsh winters, warm summers and fertile glacial soils yield a high quality, healthy garlic with outstanding flavor.